Sarah is an energetic, insightful coach and facilitator who brings a wealth of experience to her work. With an instinct for the subtleties of communication, Sarah enables her clients to operate at their best, fulfilling their potential as leaders. She has a successful track-record in helping people to flourish at work and achieve great success. Sarah’s work has taken her worldwide into a wide range of organisations including Vodafone, Pfizer, Bayer, Royal Bank of Scotland, Axa PPP, the National Audit Office and PepsiCo. Sarah uses the unique insight and skills from her previous career as a professional actor to guide her clients to express themselves with confidence and passion; sharing her knowledge of how to use voice, non-verbal communication and powerful language to best effect. 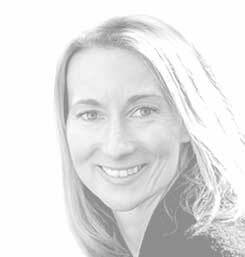 Sarah is an accredited Executive Coach, NLP Practitioner and a keen advocate of positive psychology. Her work is focused on giving clients practical tools, techniques and insights that they can use immediately in order to create positive change for themselves and their organisation. Sarah has a passion for supporting organisations committed to creating diverse senior teams. She is a highly experienced Women in Leadership coach. Outside work Sarah loves yoga and has a daily mindfulness meditation practice. In a previous incarnation, she was a scuba dive master, leading dives all over Asia. Nowadays she enjoys adventures with her family.